FSPRG.COM - What is this Charge on my Bill Statement? 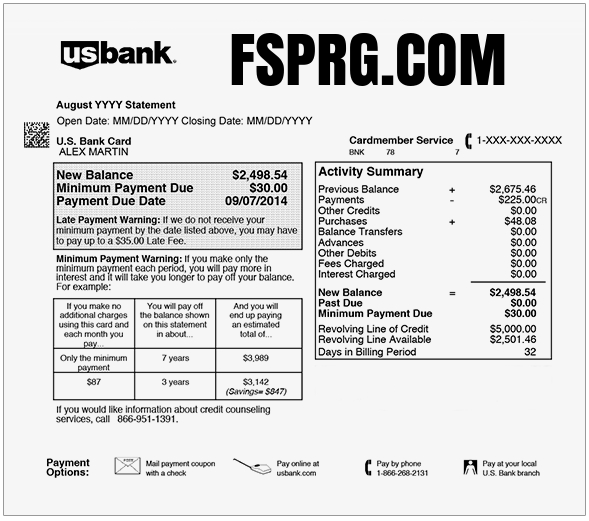 FSPRG is FastSpring's charge code. FastSpring processes subscription services, software or product charges for many companies. If you do not recognize the charge, you may contact FastSpring and they explain the charge to you. FastSpring sells software products from thousands of software companies. If you do not recognize a charge and would like us to get you a receipt, or suspect that the charge is fraudulent, we can quickly investigate and help you resolve the issue. Please use the form below to contact us and we will get back to you within a few hours. FastSpring is a trusted reseller of software products and services. We handle all aspects of purchasing and delivery, including licensing and activation. We also take care of all aspects of buyer satisfaction and payment-based customer support. I still do not understand what this charge is for? I was charged 4.99 for something that I really don't know why. Charged on October 19th... If its for a PC cleaner like the message over.... I never wanted that. Please cancel any suscription now. Your charging my credit card monthly fees that I did not approve. Cancel and reimburse my account. card ending in 8154 !!! I no longer have the computer that this charge was for. Can someone explain to what going on? For those of you requesting a refund on here, this is not the company's webpage. You are on a different company's webpage so asking for a refund here is USELESS. Sheesh. In my case, the transaction was legitimate. I clarified with them at it was due to my Sketch license renewal. I guess companies just need to be more transparent and clarify how the transactions are classified. I was charged $34.95 to my paypal account foe something that I have not requested. Nice Scam. Your company makes it impossible to speak to a live person to CANCEL ongoing charges. You have a rigged response to " question" a charge but no means to CANCEL your charges. I will file a formal complaint. I WAS CHARGED TWICE ONCE FOR 19.00 THEN AGAIN FOR 9.00 ON THE SAME DAY, WTF. CANT CANCEL IT CAUSE YOU WONT LET US SPEAK TO A LIVE PERSON. FOR SURE YOU HAVE RIGGED IT UP TO YOUR ADVANTAGE! YES IM IN CAPS CAUSE IM MAD A HEAK OVER THIS! AND I CANT CANCEL IT. CAN YOU SAY SCAM FOR SURE. FRAUD FOR SURE! my credit card company will launch charges of fraud. My credit card has also placed a stop payment on any further transactions with this company until Mar. 2020.